The 2017 New Mexico Los Lunas Area Regional Battle of the Books took place April 29, 2017 at Los Lunas High School. Deanne Dekle and I volunteered as readers at this year’s event. Over 330 elementary and middle school students from around the state battled for the top prize of a medal and a book from next year’s list. Also adding to the success of the event were 16 authors, 10 kid friendly vendors, and over 100 volunteers! 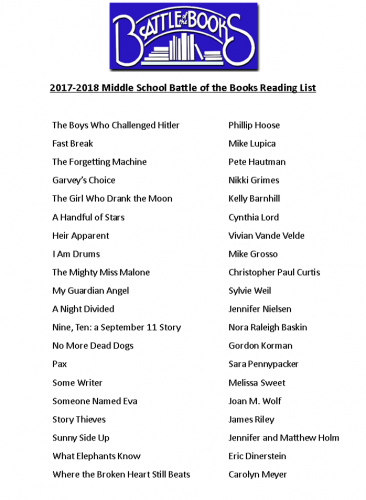 Taken from the BOB website: “The New Mexico Battle of the Books is a reading competition for students in grades 4-8. 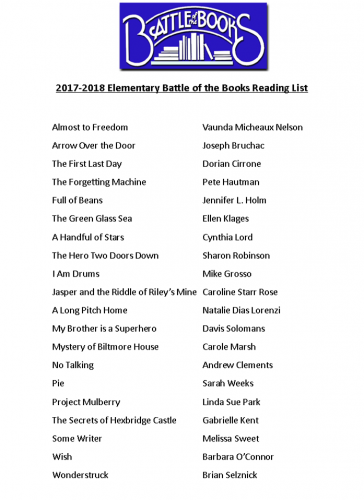 Children read and meet with their peers throughout the year, then enter a quiz-style battle in which they are asked about books that they have read from the year’s designated Battle of the Books reading list. 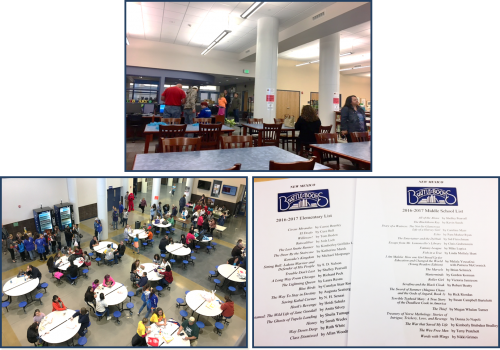 The New Mexico Battle of the Books encourages the youth of New Mexico to read high quality literature, have fun, collaborate with others, and compete in demonstrating their knowledge of books”. Next year’s battle will also be in held Los Lunas at the end of April. For more information about the New Mexico Battle of the Books take a look at the website for this year’s competition. Below are the book lists for next year’s battle.